The Conn's HomePlus® family believes every child deserves a chance to dream positive possibilities, and turn those possibilities into realities. We want each child to see promise when they think about their future. Conn's Cares is our team's way of helping deliver on that promise. We take action to make an impact in our local communities and beyond by empowering children — the future of our world — to dream, learn, connect and succeed. Conn's Cares is more than just a passive declaration. This corporate social responsibility initiative is an active pursuit and a call to action for our team to reach out and touch the lives of kids everywhere. In August 2017, Texas was hit with devastation that no one could have possibly predicted. Hurricane Harvey made landfall in Texas and ravaged the Gulf Coast. Harvey made landfall three separate times in six days, and by September 1, one-third of Houston was underwater. This 1-in-1,000-year flood had an impact on many children across Texas, and the Conn's HomePlus family knew we had to help. Late 2017, Conn's Cares partnered with Houston Children's Charity — along with our customers — to collect books and toys for the holidays to give to children who were displaced and lost everything during this tragic event. The holiday season is about giving, and we are proud of our customers and associates who put their hearts into giving back. 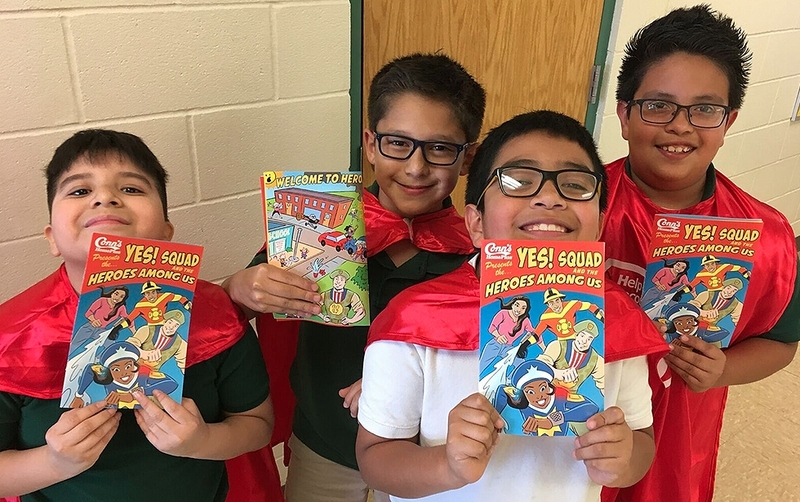 The focus for Conn's Cares in 2017 was celebrating the everyday heroes in our communities, while educating children on important causes such as bullying prevention and fire safety. The Conn's HomePlus family wanted to show recognition to the special people who selflessly wake up every day to protect the residents who live in the communities we serve as a company. We partnered with local police and fire departments, the military and medical services to provide insight on potentially life-saving educational topics. In Beaumont, students learned how to stop, drop and roll and learned how to march like a soldier. 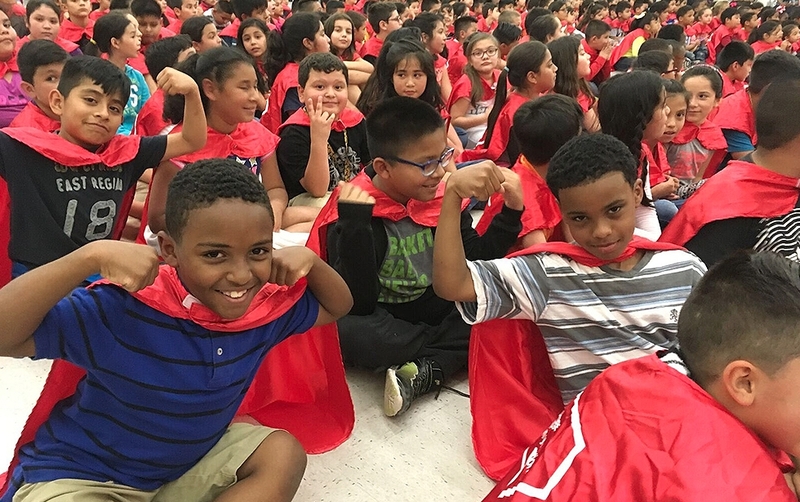 In Dallas, local heroes brought messages of fire safety, and Amarillo, students were encouraged to be heroes in their own communities by completing small tasks like changing batteries in smoke detectors. 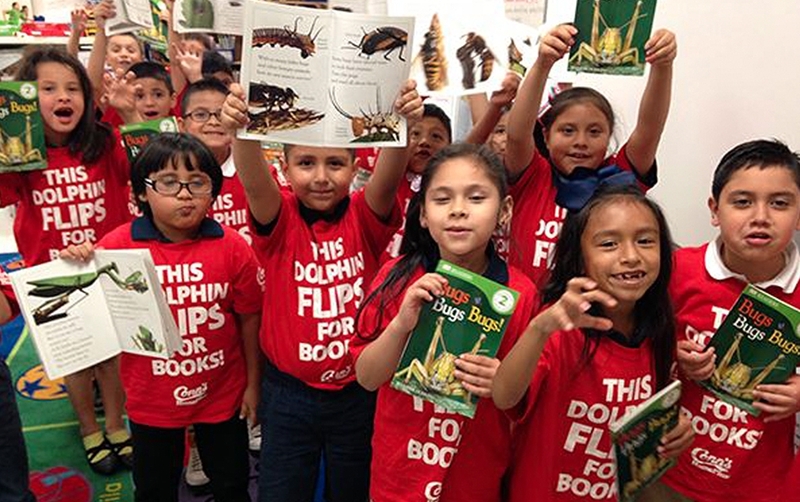 In 2016, The Conn's HomePlus family worked with First Book to facilitate school reading parties and orchestrate in-store programs that distributed books to local children in every market our team serves. At every reading party, we donated 1,000 books and furniture for a reading nook. We also partnered with Little Free Libraries to purchase and distribute small, handcrafted houses throughout communities in all the states we serve to encourage the sharing and exchange of books. 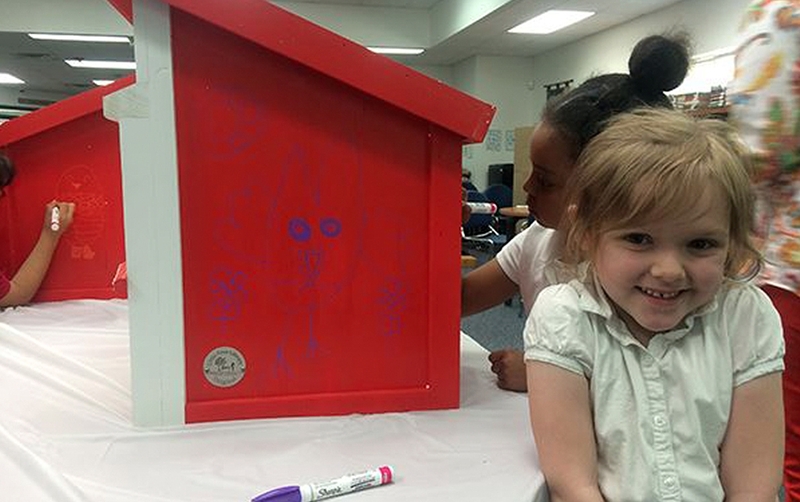 We donated three student-decorated Little Free Libraries to each school and community we visited. 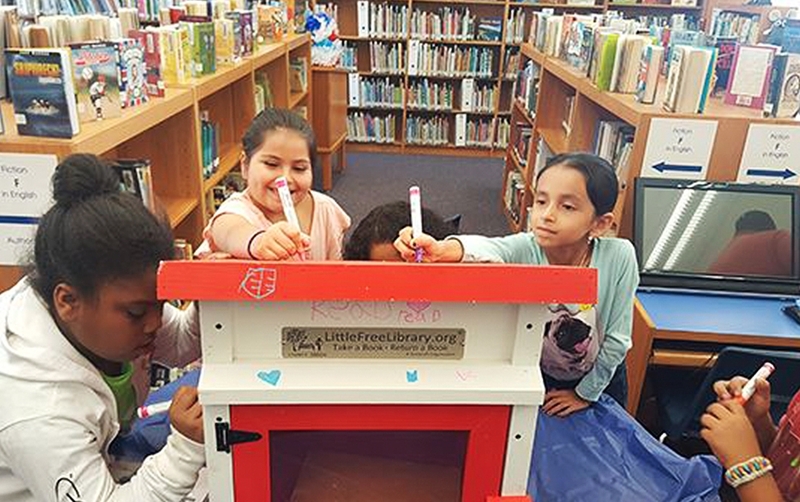 The First Book and Little Free Library programs have both been recognized by the Library of Congress for excellence in the advancement of literacy. 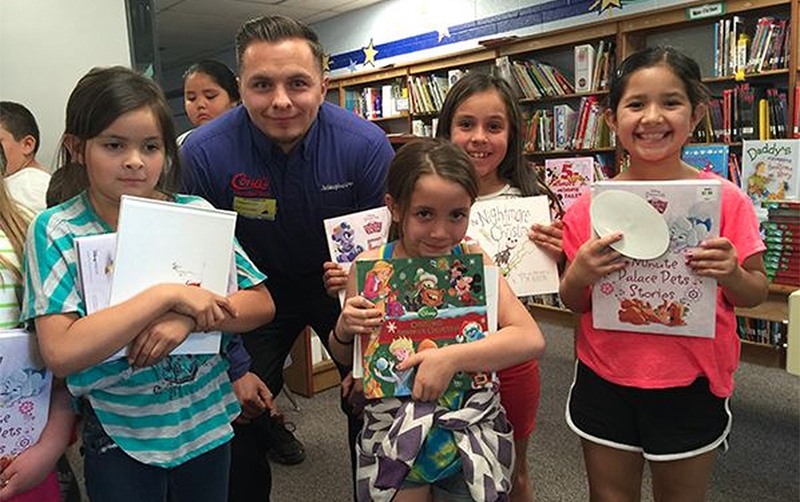 Reading parties have a special place in the history of Conn's HomePlus, going back to when employees and the founder would regularly read to children in the schools of Beaumont, Texas, where the company was founded. We're carrying on that tradition by regularly hosting reading parties in the communities we serve. Throughout 2016, our Conn’s HomePlus family was able to partner with elementary schools to reach out and touch the lives of children within our local communities. Conn's Cares hero'd up with Beaumont Police and Fire departments, as well as the U.S. Army at Fletcher Elementary in April 2017. Students learned how to stop, drop and roll, learned some quick tips on how to stop bullying, and received orders to march like a soldier! 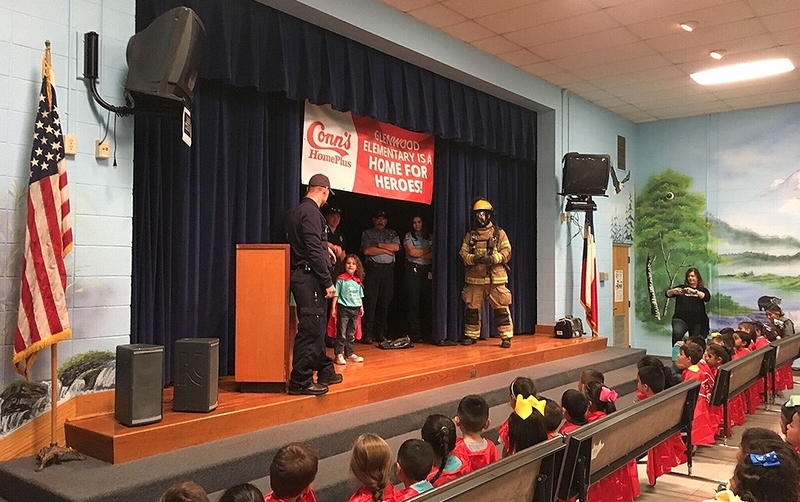 More than 350 students from Conner Elementary in Dallas were joined by the Dallas Police and Fire departments in April, where the local heroes brought to life important messages about fire safety and prevention, as well as how to stick up for fellow classmates being bullied. The San Antonio Police and Fire departments and a local nurse met the students of Arnold Elementary, where they got to take a bite out of crime with McGruff the Crime Dog, heard about the importance of smoke alarms, and even did a little pre-pre-med by learning how to take a pulse. 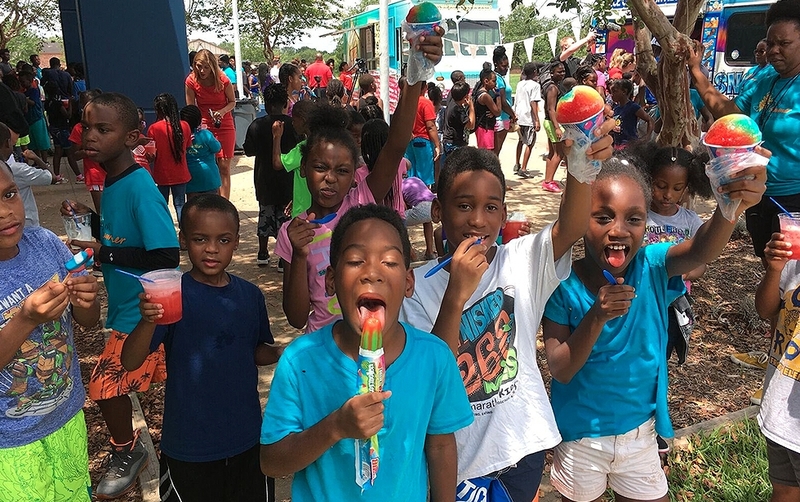 In August 2017, Conn’s volunteers led a caravan of ice cream trucks to pop in and cool off Houston’s local heroes – including kids at the Boys and Girls Club – and thank them with tasty treats. Conn’s Cares joined the Police and Fire departments in Oklahoma City to bring an afternoon of learning and activities to the students of Hillcrest Elementary. 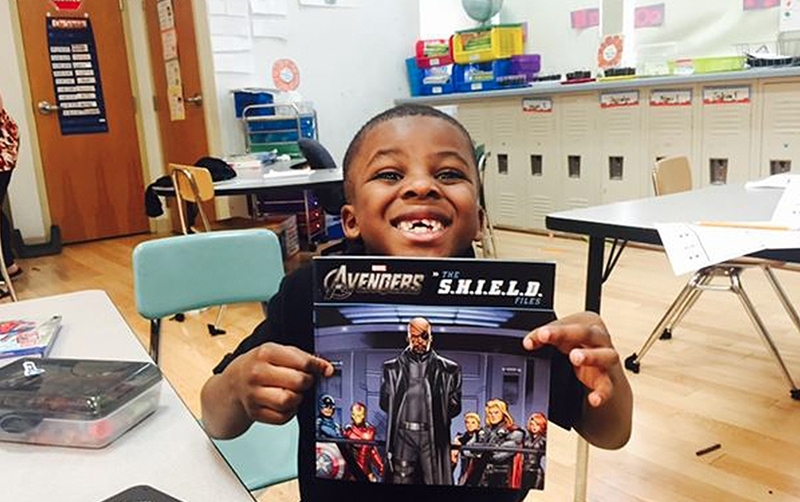 In addition to donning capes and playing with the hero activity books, the kids learned important life lessons and how to stay safe. Conn’s visited Glenwood Elementary in Amarillo and brought a few special guests in October: the Amarillo Police Department, Fire Department and Medical Services. 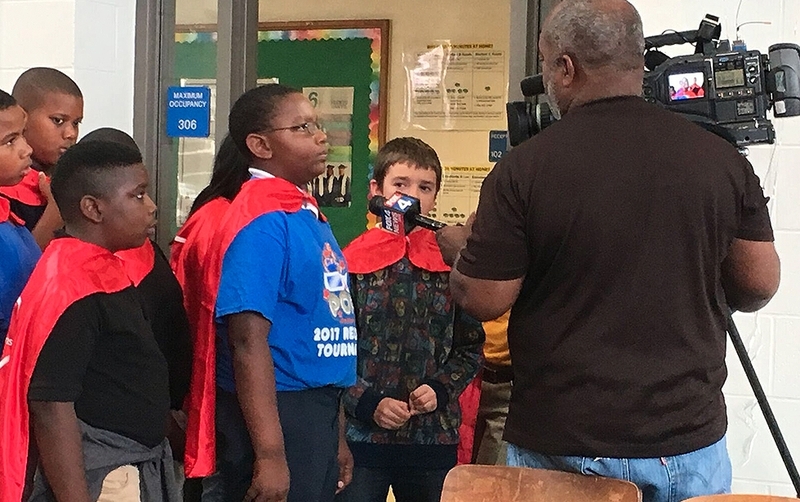 The group of heroes encouraged the students to be everyday heroes in their own communities, by doing things like changing batteries in smoke detectors, looking out for friends and reporting bullies. Scarborough Elementary students saluted Houston heroes who helped during Hurricane Harvey, and got to show off their Texans Pride while getting Houston Strong with big Texans lineman Kendall Lamm, who gave the young heroes some very big advice. 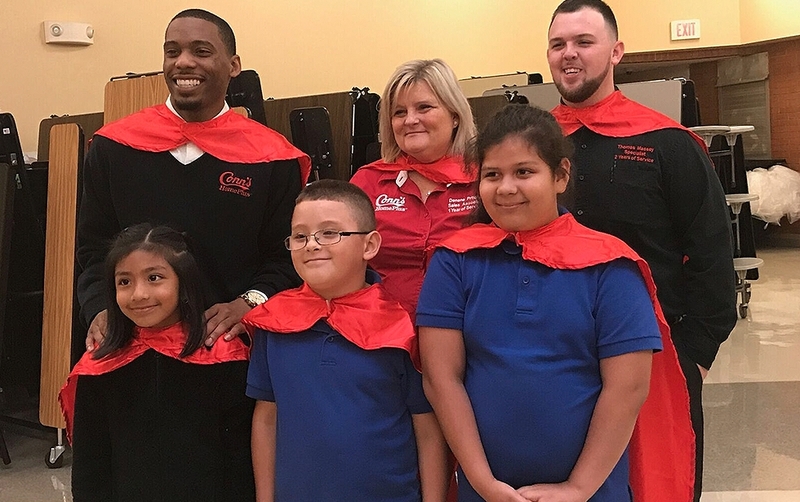 On December 14, 2016, the Conn's Cares volunteers of Conn's HomePlus traveled to Dunn Elementary in Houston to donate furniture, Little Free Libraries and 1,000 books. As an added bonus, the Conn's Cares family brought a winter wonderland to life by bringing real snow for the children to enjoy. 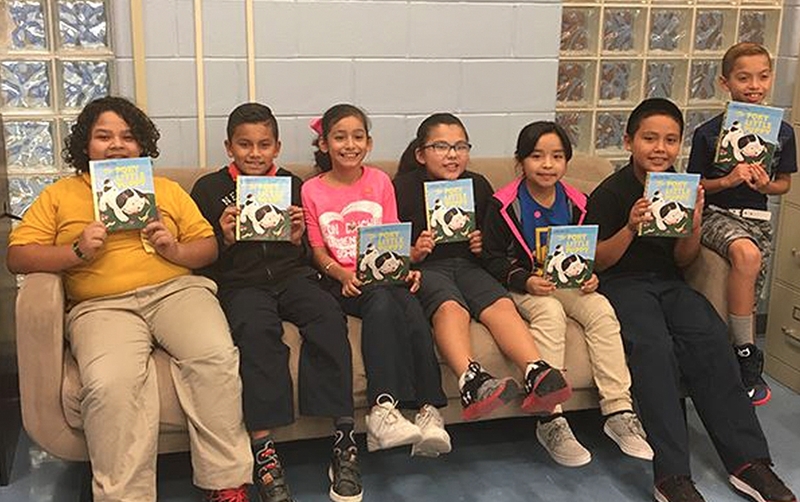 Where the Wild Things Read: On November 1, 2016, Conn's HomePlus made a splash with the Davila Dolphins by donating books about animals to the elementary school, as well as bringing in special guests — a lemur, monkey and kangaroo — for an assembly event. On October 27, 2016, Conn's Cares brought the joy of literacy to the students of Leon Daiches Elementary! On September 28, 2016, Conn's Cares volunteers headed to McBee Elementary to encourage literacy among students with a fun, educational reading party. On May 10, 2016, Conn's Cares volunteers headed to Key Elementary to encourage literacy among students with a fun, educational reading party. 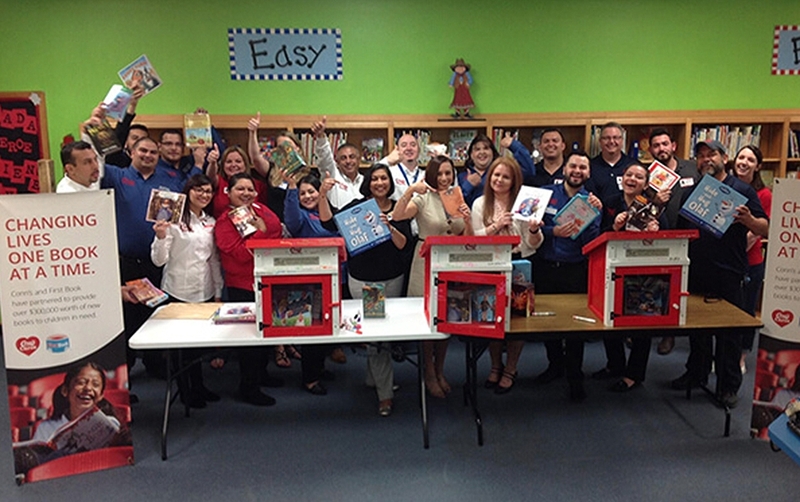 On May 4, 2016, Conn's Cares volunteers headed to Alvarado Elementary to encourage literacy among students with a fun, educational reading party. On May 3, 2016, Conn's Cares volunteers headed to Warner Enhanced Option Elementary to encourage literacy among students with a fun, educational reading party. On April 6, 2016, Conn's Cares volunteers headed to Roosevelt Elementary to encourage literacy among students with a fun, educational reading party.